Even the most dreaded team of heroes needs a training day. Before they take the fight to X-O Manowar in the pages of UNITY #1, Toyo Harada is launching his all-star squad of heavy hitters - Ninjak, Eternal Warrior, and Livewire - into the most intense, most unpredictable, most fantastic battle simulation ever undertaken. Can these inscrutable heroes survive a pixel-smashing fight through each of gaming's greatest milestones? 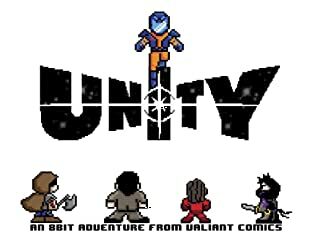 Find out today in Valiant 8-Bit Adventure: UNITY #1! With Guided View Native comics, creators can truly bring stories to life like never before. Discover the unlimited digital storytelling possibilities that can only be experienced with Guided View Native Comics. 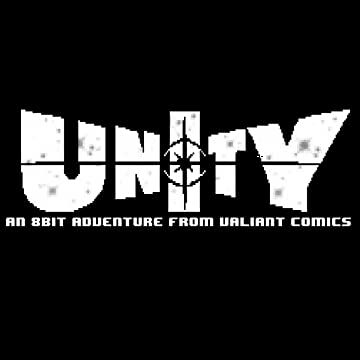 Take a unique journey into the comic and beyond the page, and experience the ultimate digital reading experience, exclusive to comiXology!